Heavy is the head that wears the flaming crown. 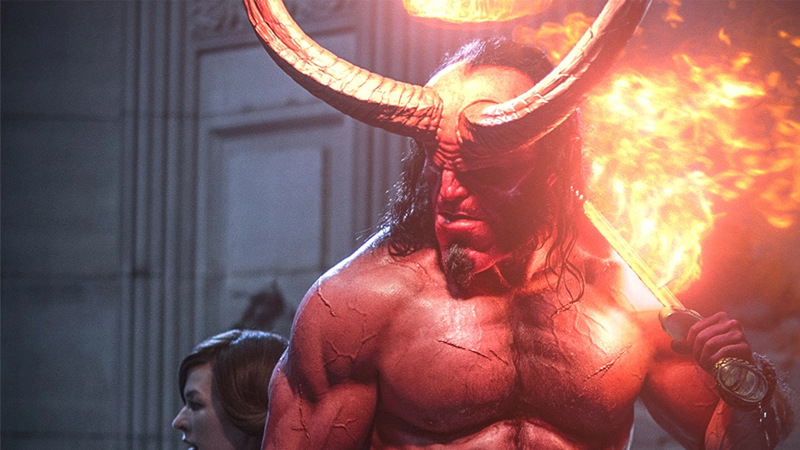 Deadline reports that Neil Marshall’s Hellboy took in just $12 million dollars in its opening weekend, significantly lower than either Guillermo Del Toro-directed takes on Mike Mignola’s beloved supernatural hero. It fact, it was more than 60 percent down from the series’ high with Hellboy II: The Golden Army back in 2008. Hellboy’s opening weekend box office is just shy of half of Shazam’s take for its second weekend in theaters, which pulled in $25.1 million, setting the whimsical DC movie on the road to $100 million domestically by Easter. Internationally, the film fared a little worse, bringing in around $10.3 million across the weekend. Whether it was the lackluster reviews, a still-lingering resentment from the absence of either Del Toro or former Hellboy star Ron Perlman in this complete reboot for the franchise, it’s a shame that Hellboy isn’t getting the comic book cinema moment the character deserves. There is a wealth of great stories out there in 25 years of source material that justice could (and should) be done to. Hellboy took $50 million to make and will struggle to make even that back. Especially when you consider it has just one more weekend to itself before Avengers: Endgame causally strolls in, stomps the box office to the ground, sets it on fire, and then dances a merry jig atop the ashes.